Occupy Oakland celebrates its first birthday with cake, music and community. 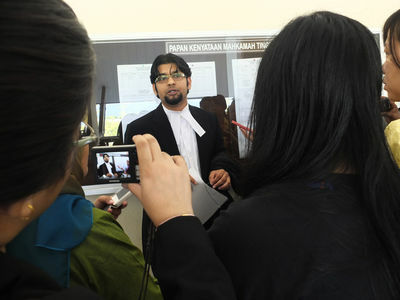 Malaysian court rejects transgender people's appeal to allow cross-dressing, based on Sharia' law. Hezbollah's Nasrallah claims responsibility for the Iranian-built drone that was shot down over Israel. 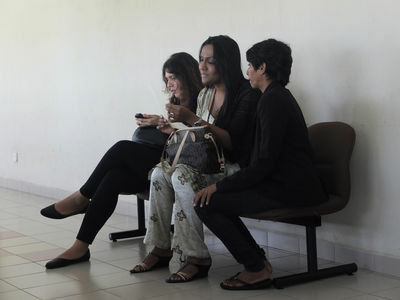 Friends of four transgender people are waiting inside of the court in Seremban, Negeri Sembilan, Malaysia on 11th october 2012. The appeal of the four transgender people challenging the Sharia' Law that bans men from dressing as women has been rejected by Secular Court. Sharia', or Islamic Law, bans Muslim men from dressing or posing as women.